ONE Englishman and two Frenchmen have been arrested off the coast of Las Palmas when they were found smuggling 1,850 kilos of cocaine in their yacht. For years, the National Police and Spanish Tax Agency have been trying to identify sailing boats which were transferring large volumes of narcotics from cargo ships sailing up from South America to wholesalers in Spain. Intelligence suggested that a large volume of drugs had been transhipped via Suriname via two yachts so officers on board the Tax Agency vessel Petrel stopped and boarded a 12 metre yacht Pepper Sauce had been sighted by pilots of the Spanish Air Force and was flying the British flag. 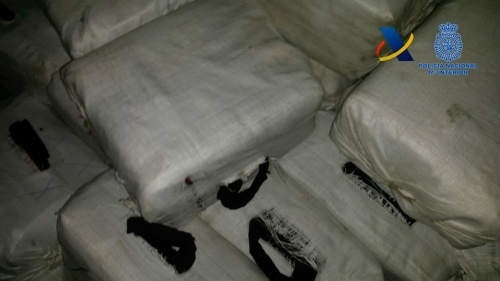 When boarded, officials discovered 61 bales of cocaine weighing 1,850 kilos and the drugs, the vessel and the three crew members were taken to Las Palmas for processing.